Superbly designed three bedroomed end of terrace townhouse with carport perfectly situated in a quiet Cul-de-Sac overlooking cobble-locked courtyard. This excellent family residence comes to the market in showhouse condition with bright light filled rooms and quality extras throughout including fitted kitchen, quality wall and floor tiling and a large south facing private landscaped rear garden. 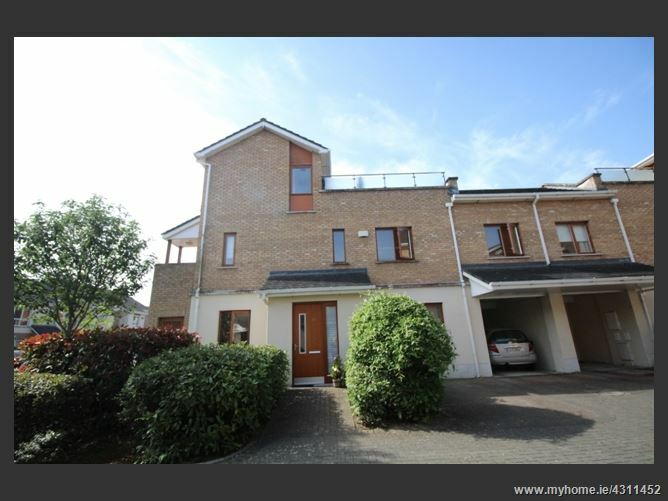 This home is perfectly situated within close walking distance of primary and secondary schools, bus links, shops, Coolmine Rail Station with the Blanchardstown Centre a short distance away. 8 Roselawn Crescent, Castleknock, Dublin 15, D15 WCN3.